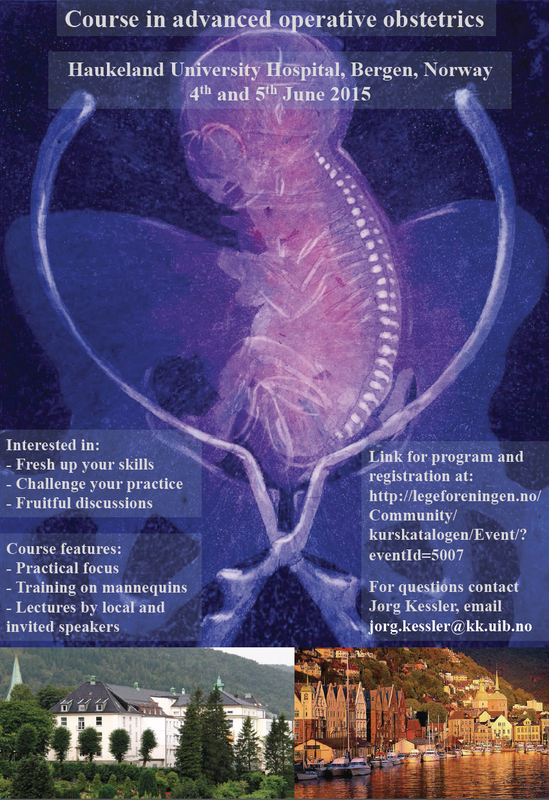 This is an excellent course at a world-renowned centre, popular with obstetricians all over the world who travel to Bergen to gain practical skills in breech childbirth and operative delivery. The Norwegians have carried on safely supporting breech births over the past 15 years, and the course is acknowledged by the Norwegian Medical Association. This year, the course will include a session on ‘alternative birth positions in breech delivery.’ It will be taught in English. For more information and to book, contact Consultant Jørg Kessler on the e-mail listed on the poster. View the programme here: Practical skills in advanced operative obstetrics. This entry was posted in Education, Study Days and tagged forceps, Norway, obstetrics, upright on February 20, 2015 by midwifeshawn.